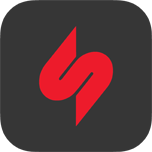 Tnir Technologies helped Breaking Data Inc (formerly Sprylogics Corp) to develop and update the mobile sports app “Breaking Sports”, which is available now on the app Store. As part of a technology agreement between Sprylogics and Keek, Tnir Technologies helped bring the software architecture of their Keek iOS app up-to-date. A Keek is a short video (up to 36 seconds) and 111 characters of accompanying text that can be enabled thru the web, IOS, Android and Windows 8 mobile platforms. 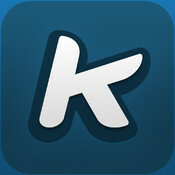 Users can interact on Keek directly with other users through “keekbacks”, the platform’s unique ability to respond to a keek (short video) with a keek. On Aug 1st 2013, Sprylogics finalized its acquisition of Poynt and together with Tnir Technologies worked to release an updated version of the Poynt app to the App Store by Sep 7th. Poynt is an award-winning local search app that lets you find and connect with businesses, movies, restaurants, people, offers and events near you whenever and wherever you need them. Poynt allows you to interact with your search through placing calls to businesses, mapping directions, viewing showtimes and movie trailers or reserving a table at a local restaurant. Tnir technologies worked hard with Sprylogics to publish version 1.1 of the “2ya” app in November 2012. Work continued through 5 more releases, the latest in May 2013. All without leaving the conversation. Arcestra Inc has published a new version of their iPad solution to finding the best commercial real estate, “Tourbook”. We were happy to be a part of producing such a sophisticated application, bringing next-generation tools to bear in a well-established and time-honoured industry. The free Arcestra Tourbook app provides you with a mobile interactive 3D building experience for the marketing and leasing of commercial real estate. Tourbook integrates seamlessly with building information stored on the Arcestra platform to deliver compelling and interactive 3D, images, and videos to tenants on the go. The Spatial View® iPhone app 3DeeCentral™ underwent several upgrades we were happy to work on. The ability to browse and view YouTube videos was chief among these. The user interface for flipping the view ensures users aren’t confused about when they are viewing a web page and when they are playing a movie. Re-branding the core functionality of 3DeeCentral was another major task, with the end result being the View-Master® app now available in Apple’s App Store. 3DeeCentral provides access to 3D videos and image collections from 12 different genres, and new content added regularly. 3DeeCentral is the leading content delivery platform for free and paid-for 3D content. 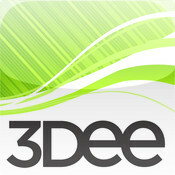 To experience a glasses-free 3D experience, go to 3DeeCentral.com to order Spatial View’s 3DeeSlide. This elegantly-designed accessory with a high-quality lens, when used together with 3DeeCentral, will turn your Black iPhone 4/4S into a glasses-free 3D entertainment center. Alternatively, you can view 3DeeCentral’s content with Red-Cyan anaglyph 3D glasses. Requirements: Compatible with iPhone 4 or iPhone 4S only. We here at Tnir Technologies are happy to have a new web site up and running. Currently we are trying out WordPress 3. Although friends of ours have had security problems with WordPress in the past, we think that having upgraded a major version number, and having auto-updating enabled will make WordPress a good bet.